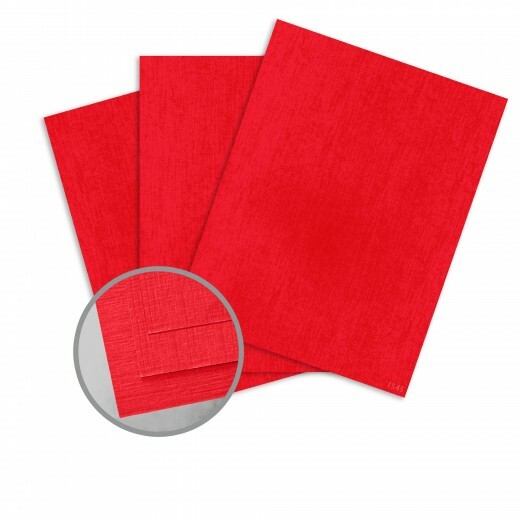 You'll love the uniquely patterned Denim Textured surface of this high quality and fun colored cardstock. The pattern of the textured surface flows in a linear direction with random high and low spots of fine linen-like lines, making this texture look very much like a true blue jean denim surface. The cardstock is elegantly embossed on one side leaving the reverse side smooth. 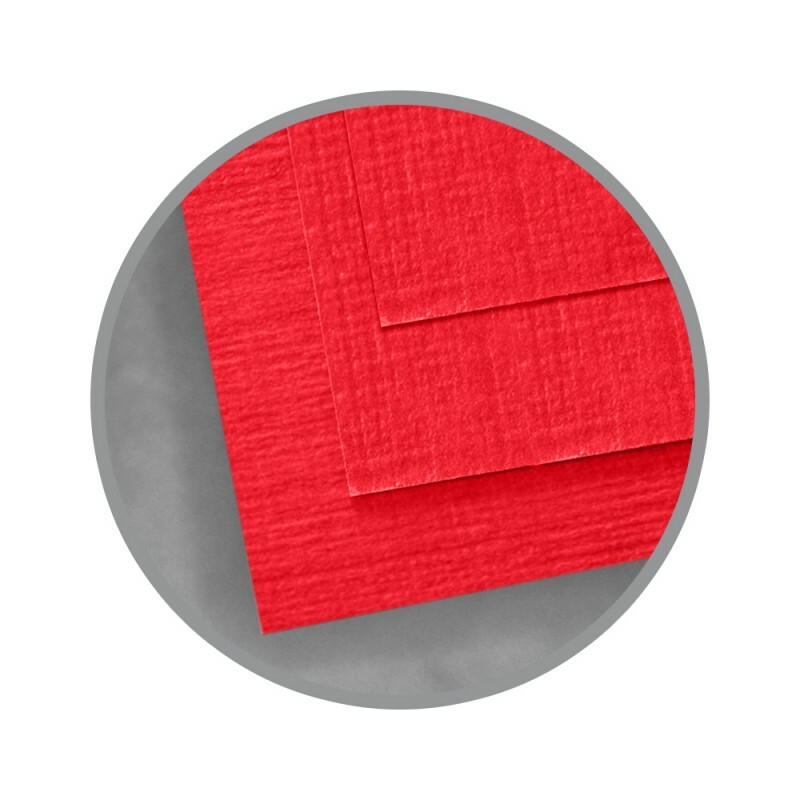 The fine texture of this cardstock paper will add a touch of class and elegance to your crafting project. 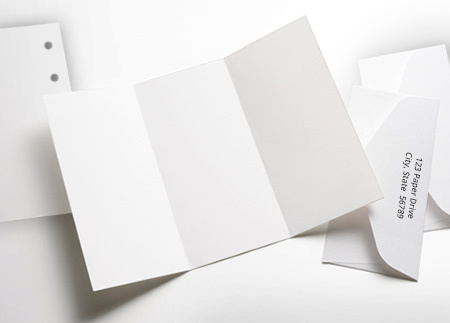 This is a beautifully constructed cardstock with a superior fiber formation made from top quality pulps and dyes worthy of the iconic brand name ColorMates. The richly saturated colors of the line give you an opportunity to explore new techniques for your projects as the paper is dyed throughout and folds, scores and cuts perfectly. You'll never go wrong when using ColorMates on your crafting projects. First off, other than Christmas and Valentine's Day, red card stock is almost impossible to find, let alone, anything over 100 lb cardstock. I needed it to create a Halloween mask, a red dragon. Kudos to The Paper Mill Store for carrying it!! I didn't need a large quantity so the fact that they had it in a 25 sheet pack was an added benefit. It was perfect for the project and so easy to use. The mask was a huge success and I got so many compliments on it. I will definitely use The Paper Mill for my cardstock needs in the future.